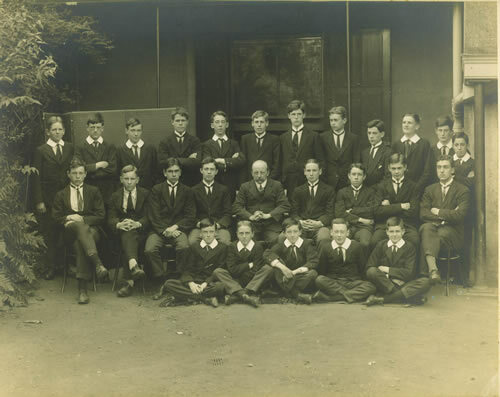 Lionel Reay initially accommodated boys at Kenley House from 1909, but soon moved to Langley House, 28-29 Old Dover Road. In 1922 there was a further move to 30 (later numbered 75) New Dover Road. In 1935 the boys moved into the newly founded Walpole House, joining those who came from Worksop College with John Shirley. The New Dover Road building was then used as the school sanatorium and later became part of Luxmoore House. Housemasters: Lionel Reay 1909-19; Revd Alfred Mayne 1919-35.